As the Nuremberg Tribunal so effectively discussed at the Doctor's Trial at Nuremberg after World War II, the utilitarian rationale for forced medical interventions is fundamentally ethically corrupt. Utilitarianism, which suggests that the state can force a minority to sacrifice their well being for the majority, cannot be ethically used by doctors or scientists to force medical interventions which can injure or kill or individuals without their informed consent. 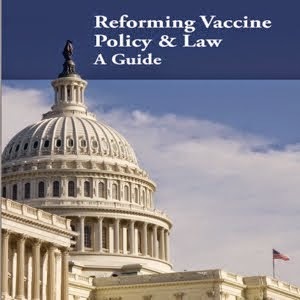 In the case of one-size-fits-all forced vaccination policies, the parents of children, who are genetically vulnerable to vaccine induced injury and death, are being forced to kill or injure their children without their informed consent. The forced vaccination stance taken by M.D./MPH "experts" reveals exactly why educated parents do not trust them. Why would a parent entrust their child's life to a medical doctor who does not care if their child is killed or crippled by a vaccine but only cares if the child gets vaccinated in order to "protect" the State? The right to informed consent to any medical intervention which carries a risk of injury or death, including vaccination, is a human right. Perhaps the MD/MPH experts who want to violate the human rights of parents should actually speak with, rather than publicly gossip about, those parents refusing to offer up their children as sacrificial lambs on the alter of one-size-fits-all vaccine policies. your right not to trust the MD/MPH experts, particularly in the area of vaccine accountability. 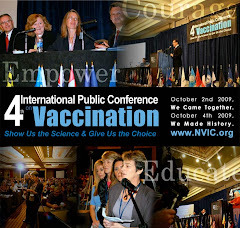 Proponents of the vaccine dogma are incapable of evaluating their own programs. Barbara, I just wanted to say thank you for all the work you do on this front. I am so deeply and humbly grateful to you, and others who are the warriors of vaccine education. As the mother of a wee one who suffered an hours long HHE after his second round of vaccinations, and actually being told by wee one's then pedi that I was "an over-reactive mother...just give him some Tylenol, for pete's sake! ", I really began investigating vaccines. I had done minimal investigationg before the birth of my wee one, but thought that in order to be a "good mommy", I had to have him vaccinated. When he suffered the HHE, something in my gut told me that were I to give him Tylenol, I would have a dead baby before long, as there was just no way his sytem could handle the paracetomol. I still...6 years later...waffle between sheer irateness and fury to being very emotional when I tell someone else of the dangers of vaccines. At any rate, I just wanted to say a huge thank you for all that you do, and to let you know that I'm linking you on my blog...the more who know, the safer our wee ones will be! careerist public health officials have been lying for so long about vaccines that they dont know how to stop and still meet their mortgage payment.